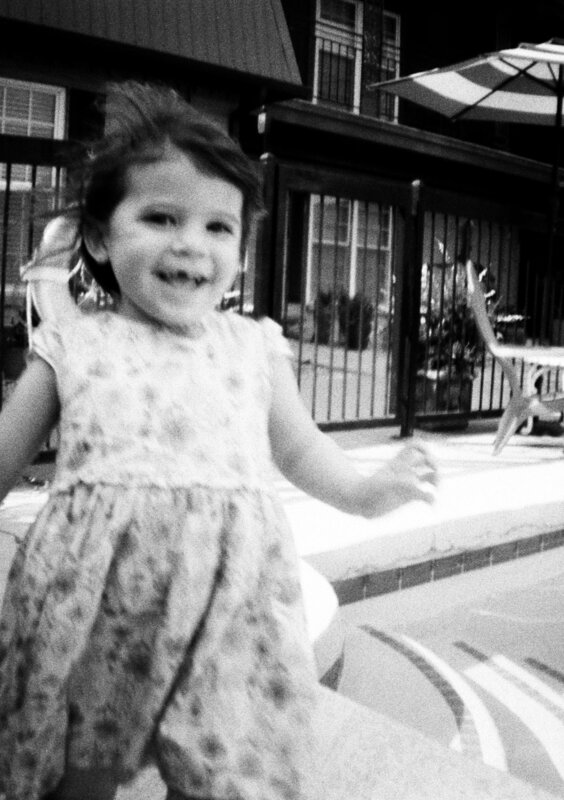 The Diana Mini has quickly become a favorite! It's lightweight, compact, and has the ability to shoot 72 half frames...wha? How awesome is that. But simply flipping the switch on the back of the camera from "24x24" to "24x17" - you know get vertical half frame images. I highly advise picking one and sticking with it for the roll so you don't give your lab (or you if you're self developing) a massive headache. When you look through the view finder, you'll still see the square, but you'll notice shadows on each side of square making a vertical spot to give you an idea of where your image will be captured. Whether you shoot from the hip, plan it out, or add in some double exposures - everything works with the half frame! Just make sure you remember it's not shooting square and line up your shot in that vertical frame in your view finder. Want a horizontal photo? Just turn the camera sideways. It feels weird if you're used to shooting the square frame. But it's easy to do and doesn't feel cumbersome at all. And some long exposure? Just roll with it. The Diana Mini does have a tripod mount. I decided not to use it for these images and did a little free-hand instead. Definitely some motion blur. But it works with a plastic lens camera! Do you have the Diana Mini? Do you shoot it half frame? Tell me about it. Better yet, share a link where I can see them! I kinda love plastic camera film photos...like a lot!